Another one of my Local Memphis Live cooking segment creations is this pasta, and the inspiration came from my recent trip to Italy. One thing I learned about Italian cuisine: it's simple and the ingredients are the star of the show. With The Mighty Olive olive oil, I can create a sauce that is fresh and needs very few ingredients. 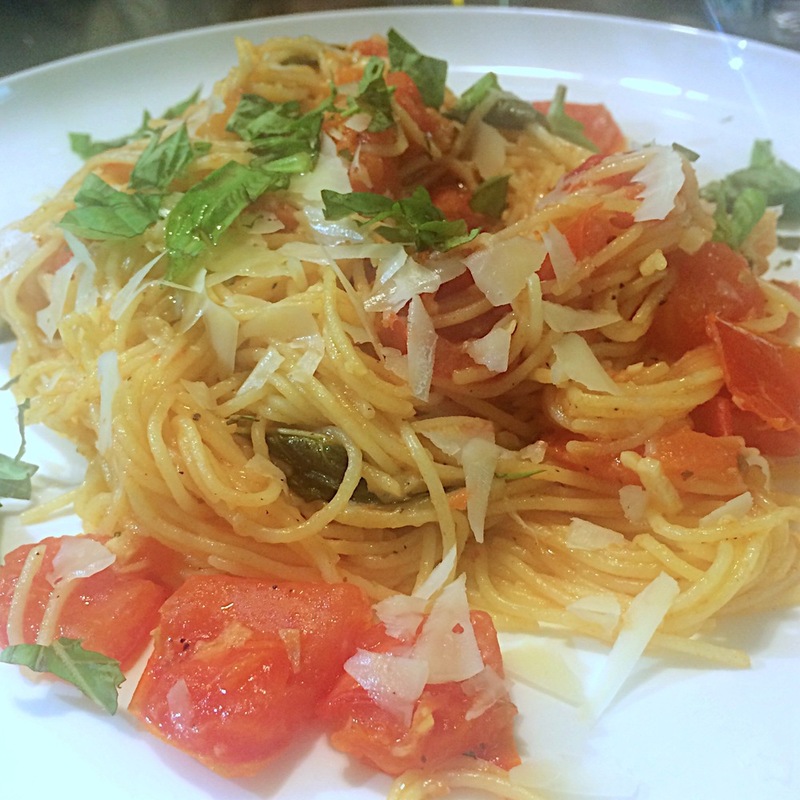 All you need is a fruity, good quality olive oil, and you can make any pasta dish shine! 1. Cook pasta in a large pot of salted boiling water for about 8 minutes or according to the directions on the package. Pasta should be al dente - cooked but slightly firm to the bite. 2. Add 2 tbsp of olive oil to a medium sauté pan over medium low heat. Cook garlic and oregano for about one minute or until fragrant. Add tomatoes, 1 tsp salt, and a half tsp of pepper and cook for about 3-4 minutes. 3. Using tongs, add the pasta into the pan with the tomatoes. Don't be afraid to let some of the pasta water get in the sauce, the starch helps the sauce stick to the pasta. 4. Add olive oil, fresh grated Parmesan, and basil. Toss together all ingredients with the tongs until well combined.